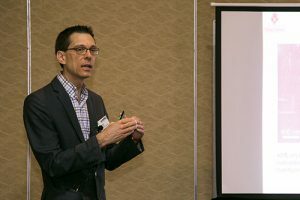 Young students entering the science field take on a significant amount of new material and learning in the classrooms, but that doesn’t mean we can’t learn just as much from them, too! 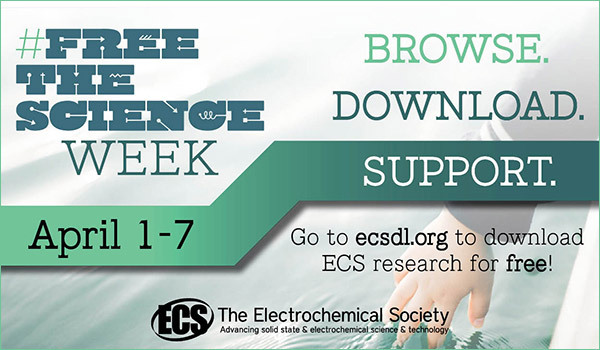 ECS student chapters, ran and created by students themselves, inspire us every day. 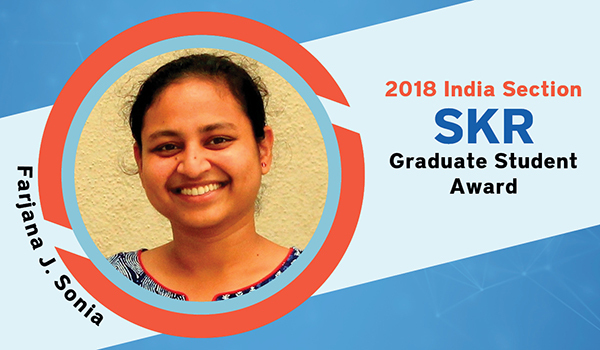 Their remarkable accomplishments and contributions to the Society not only help guide and encourage talented scientists and engineers around them but also contribute to the future and growth of the sciences. 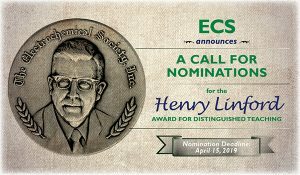 That’s why in 2012, the Society established the ECS Outstanding Student Chapter Award to recognize distinguished student chapters that demonstrate active participation in ECS’s technical activities. That means chapters that have initiated outreach activities, coordinated community events, and created and maintained a robust membership base. Does this sound like your student chapter? 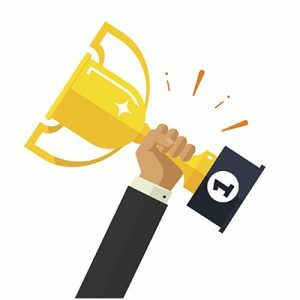 We want to award you for your hard work! 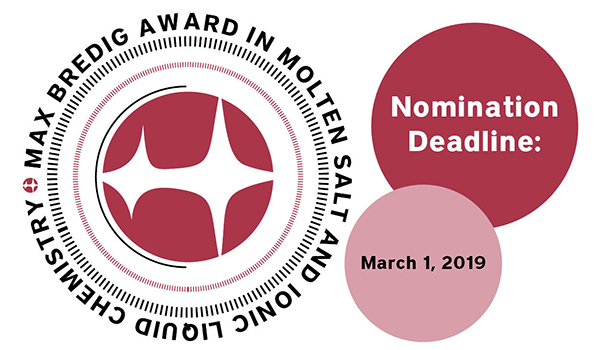 Don’t Discount the Honorable Mention! 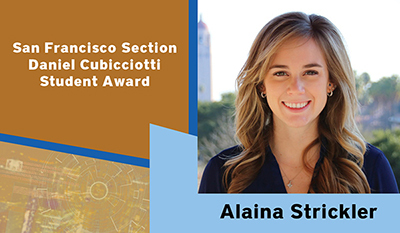 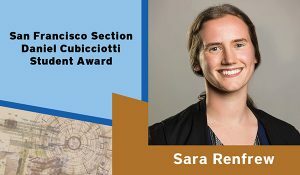 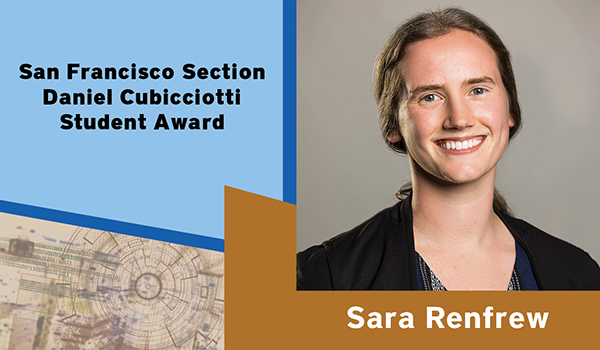 The second 2018 San Francisco Section Daniel Cubicciotti Student Award (Honorable Mention) Goes to Sara Renfrew! 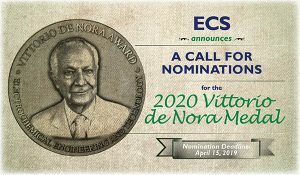 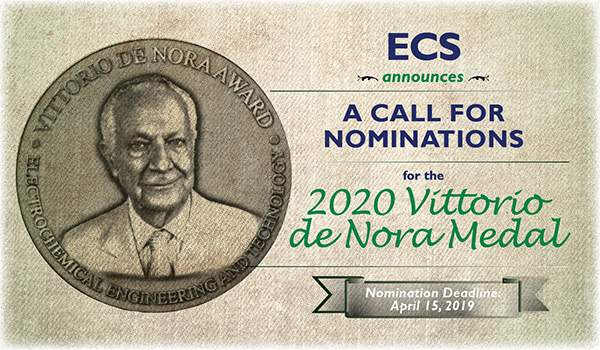 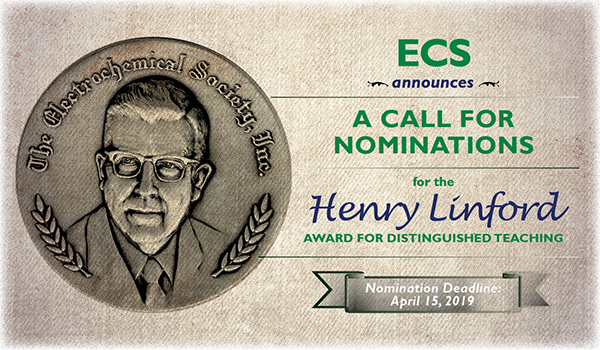 The ECS Physical and Analytical Electrochemistry Division is currently accepting nominations for the prestigious Max Bredig Award in Molten Salt and Ionic Liquid Chemistry that will be recognized at the fall 2020 biannual meeting (PRiME) in Honolulu, Hawaii. 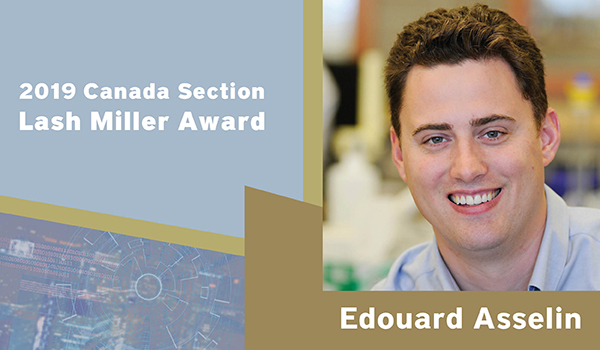 Michael Arnold, recipient of the ECS Charles W. Tobias Young Investigator Award. At AiMES 2018, Michael Arnold was presented with the ECS Charles W. Tobias Young Investigator Award for his work “Overcoming the Materials Science Challenges to Nanocarbon Electronics.” The award recognizes outstanding scientific or engineering work in fundamental or applied electrochemistry or solid state science and technology.